We were not really keen on joining the organised packaged tour despite the low prices (tours started from 400 PHP excl. entrance fees). First of all, I had NO INTEREST whatsoever to see any snakes (UGH!!!) nor the gift shop 🙂 Also I like to take my time to take picture and have a proper look around so we knew we would need to skip a few of the attractions in order to allow more time for the ones we really wanted to see. In addition, I was really keen on seeing the Tarsiers which you can find on Bohol island ( I have to admit this was actually the number 1 reason of coming here in the first place!) however despite all packaged tours including Tarsier watching in their programme, most of them (if not all of them) only go to the Tarsier Conservation Area near Loboc as it is closest to the main tourist attractions of Bohol (Loboc River Cruise and Chocolate Hills). However this is NOT a Tarsier Sanctuary and you will find a lot of info online why you should avoid it at all costs! 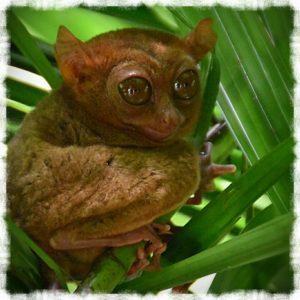 There is another one which is less touristy and where the tarsiers, in contrast to the one in Loboc, actually do live in the wild and are free to do whatever they want – even leave the sanctuary. That’s the Tarsier and Wildlife Sanctuary in Corella. We heard many, many good things about this place and really wanted to go there, even if there was a chance of not seeing any tarsiers at all. So a packaged tour was definitely a NO-NO. Sooooo we rented a scooter from the tourist information in Alona Beach however you can get them on almost every corner, often even at your accommodation so it might be good to compare prices as they vary quite a bit. (300 – 700 PHP per day). Stay tuned for our feedback on each of these places – some totally rocked, others disappointed but overall it was a great tour and we would always do it again like this!!!! 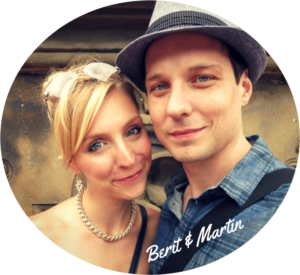 Do you recommend your accommodation to us? May I please know the name of it and where is it located? It really depends on your budget, you have various options depending how much you can spend. Generally accommodation doesn’t come cheap for Asian standards – for a standard double room in a good 3* hotel in walking distance to the beach you need to calculate roughly 40 USD+. How did you get to corolla from alona beach were you stayed? Coz if you do it with your scooter its quite far driving right? You are right it’s quite a long ride by scooter to the Tarsier Sanctuary from Alona Beach (about 32KM). 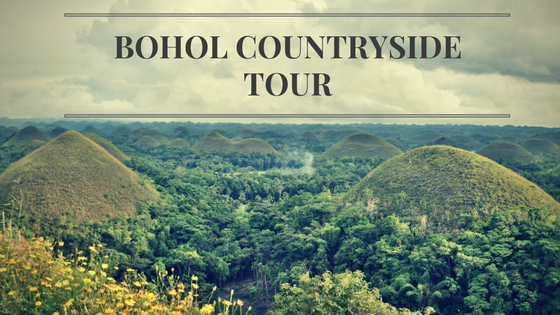 However, Corella was actually only one of many stops on our Scooter tour all the way up to the chocolate hills (75KM) and back again, however that was a REALLY REALLY long day So it’s possible to do but you should take enough time for the trip. The roads are quite well maintained so if you know what you’re doing you should be fine. 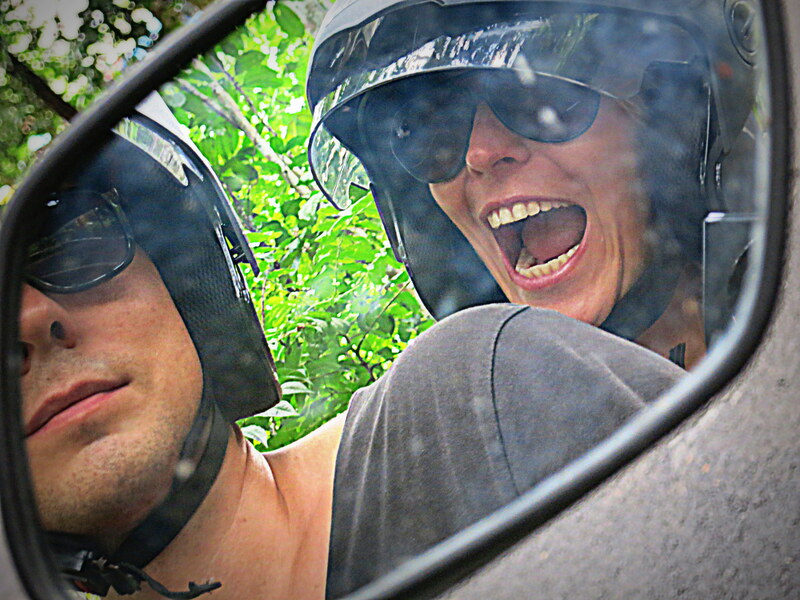 Actually this was our first scooter tour in Asia! Have fun, be careful and let us know how it went.